Thursday, May 2, 2013 ratings — New Episodes: American Idol, Glee, Wife Swap, Grey’s Anatomy, Scandal, The Big Bang Theory, Two and a Half Men, Person of Interest, Elementary, Community, The Office, Parks and Recreation, Hannibal, The Vampire Diaries, and Beauty And The Beast. 8pm – Wife Swap: 1.1 in the demo (0% change) with 3.62 million. 9pm – Grey’s Anatomy: 2.9 in the demo (+7% change) with 8.50 million. 10pm – Scandal: 2.6 in the demo (-7% change) with 8.13 million. 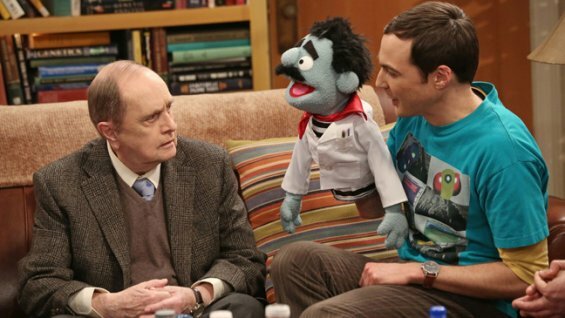 8pm – The Big Bang Theory: 4.6 in the demo (+2% change) with 15.69 million. 8:30pm – Two and a Half Men: 3.1 in the demo (+11% change) with 11.90 million. 9pm – Person of Interest: 2.4 in the demo (0% change) with 12.76 million. 10pm – Elementary: 2.0 in the demo (0% change) with 9.50 million. 8pm – The Vampire Diaries: 0.9 in the demo (-10% change) with 2.13 million. 9pm – Beauty and the Beast: 0.5 in the demo (0% change) with 1.26 million. 8pm – American Idol: 2.5 in the demo (-11% change) with 10.98 million. 9pm – Glee: 1.8 in the demo (0% change) with 5.23 million. 8pm – Community: 1.2 in the demo (+20% change) with 2.80 million. 8:30pm – The Office: 1.7 in the demo (0% change) with 3.34 million. 9pm – The Office: 1.9 in the demo (+12% change) with 3.59 million. 9:30pm – Parks and Recreation: 1.5 in the demo (+15% change) with 2.89 million. 10pm – Hannibal: 1.0 in the demo (0% change) with 2.51 million.